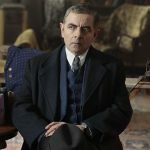 Home » Mystery » More ‘Maigret’ with Rowan Atkinson on the way…. 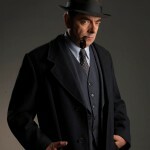 Given his trademark pipe, fondness of fine alcohol and reliance on godlike intuition in solving cases, the character of Jules Maigret is frequently referred to as the Sherlock Holmes of France. Author Georges Simenon’s Inspector Maigret stories are not new to television audiences. As early as 1959, Jules Maigret hit the small screen in a major way with Rupert Davies starring as the fictional detective. The most recent and, perhaps, the more famous adaptation was the 1992-93 ITV series starring Michael Gambon which lasted 12 episodes and ran on PBS as part of the Mystery! series. 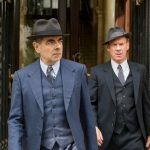 With his iconic heavy coat and his trademark pipe, Maigret recently returned to the small screen, this time with the brilliant Rowan Atkinson starring in the title role, earlier this Spring on ITV. Set in 1950’s Paris, “Maigret Sets A Trap” was adapted from the Simenon novel ‘Maigret tend un piège.’ The second film, which has already been filmed, ‘Maigret’s Dead Man’, is based on ‘Maigret et son mort’ and will be transmitted later this year on ITV. 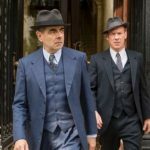 Given the combination of both the audience reaction and critical acclaim for the first installment, word out of the UK is that ITV has commissioned two new Maigret films, scheduled to go into production from November 2016 through February 2017. 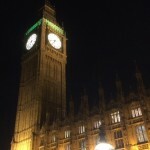 The films are targeted for transmission later in 2017. The first will be an adaptation of Georges Simenon’s novel, ‘Night At The Crossroads’ while the second of the new films will adapt ‘Maigret in Montmartre’ set, once again, against the beautiful backdrop of 1950’s Paris. For those that only remember Atkinson from his comedic roles in Blackadder, Thin Blue Line and Mr. Bean, his periodic appearances for Comic Relief or for his more recent feature films as Johnny English, erase the notion from your mind palace that this isn’t going to work. It does and it’s brilliant. Having had the opportunity to screen the first episode at the BBC Showcase in Liverpool back in February, I can honestly say the film is visually stunning and Atkinson is brilliant. 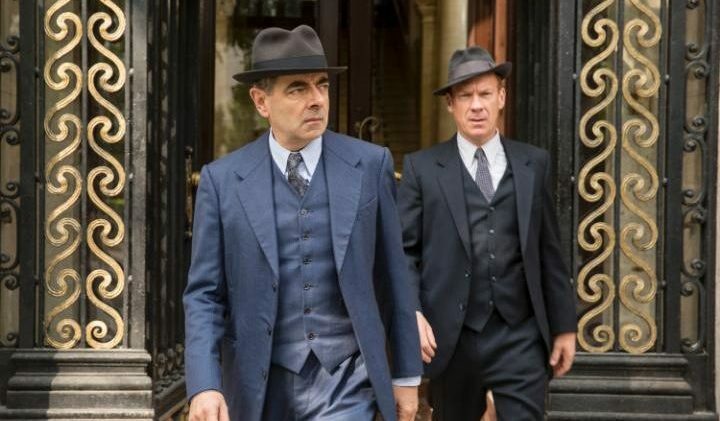 When Atkinson signed on for the title role as the insightful detective, he said: “I have been a devourer of the Maigret novels for many years and I’m very much looking forward to playing such an intriguing character, at work in Paris during a fascinating period in its history“. Considering that Simenon wrote seventy-five Maigret novels and is considered one of the greatest writers of the 20th century selling around a billion books worldwide, let’s hope Rowan Atkinson goes the Sir David Suchet/Hercule Poirot route and does every one of them, although I’m not sure Atkinson will be wanting to spend the next 25 years making that happen. It’s all about baby steps, however, as he’ll have 4 of 75 done by the end of February 2017! 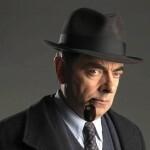 “Maigret’s Dead Man” will air later this year on ITV in the UK. Hopefully, both “Maigret Sets A Trap” and “Maigret’s Dead Man” will find their way to public television stations in the States in the not-too-distant future.